Who I Am — Karen Alter-Reid, Ph.D. I believe in working collaboratively with my patients in determining the direction of our work together. I use a variety of techniques and methods to find what will work best with you. I am an active therapist and invite you to become involved in your treatment choices at all times. I often recommend books to read, suggest mindfulness and relaxation routines, support groups, and refer to yoga classes, physicians, nutritionists and other practitioners as needed. If you are working with another mental health practitioner or physician, I encourage a team approach. I have a deep respect for the connection between mind, body, brain, and spirit. As such, I utilize a variety of methods to build awareness of thoughts, feelings, somatic sensations, and emotions. Building an awareness of each of these areas helps one to become more attuned to self and others, builds integrative brain function and leads to greater clarity, focus, and empathy. It is an exciting time in the field of psychology, bringing together information from many disciplines that helps clinicians find the best possible ways to help our patients change, grow and thrive. From left, Valerie Gillies, Dr. Karen Alter-Reid, and Michael Crouch, therapists with the Trauma Recovery Network of Fairfield County. Dr. Alter-Reid is a licensed clinical psychologist based in Stamford, CT. She is a clinician, teacher, specialty presenter, and consultant. Dr. Alter-Reid maintains a private practice providing treatment for individuals with acute traumatic stress conditions, anxiety, and life-cycle transitions. Other specialties include working with therapists and first responders. Dr. Alter-Reid employs an integrative approach which may incorporate relational psychotherapy, EMDR, hypnotherapy, stress management, sensorimotor psychotherapy and/or biofeedback. These adjunctive techniques are based on cutting-edge research in neuroscience. Dr. Alter-Reid is the EMDR Senior Consultant to the Integrative Trauma Program at the National Institute for the Psychotherapies in New York City (www.nipinst.org). The Integrative Trauma Program oversees the post-graduate 9-month Trauma Certificate Program as well as the EMDR Clinical Affiliate Program. In addition, Dr. Alter-Reid is on faculty in both the Integrative Trauma Program and in the 4 year analytic program. Dr. Alter-Reid is an EMDRIA-Approved EMDR Institute Regional Trainer, Consultant and Specialty Presenter, training clinicians nationally, teaching therapists and University faculty about trauma and training them in EMDR treatment. She spends a portion of her time as a volunteer for the EMDR-Humanitarian Assistance Program where she trains therapists in both EMDR and R-TEP (Recent Traumatic Episode Protocol) in community mental health settings and trauma recovery networks. Through EMDR-HAP, she also responds to man-made and natural disasters. Most recently, in response to the Sandy Hook shootings, Dr. Alter-Reid coordinated the Fairfield County Trauma Recovery Network. This team of seasoned trauma therapists provided treatment and training to families and first responders impacted by the shootings. You can hear the team interviewed on NPR at this link. Dr. Alter-Reid also trained and consults with Newtown area therapists as they provide treatment to their own community. She is one of the originators of a program, “Therapy for Therapists” which provides trauma treatment to clinicians working with traumatized populations. Dr. Alter-Reid’s work with first responders includes treatment of firefighters, state law enforcement, and special agents in the wake of disasters. She was involved in active mental health responses to Hurricanes Katrina and Rita on the Gulf Coast, and to the Christmas Day Fire in Stamford, CT.
She lectures to local organizations about how trauma affects brain function and how to seek appropriate and helpful treatment. Dr. Alter-Reid has presented on trauma and EMDR to organizations such as the CT State Police Academy, the Stamford Fire Department and the Federal Law Enforcement Officers Association. Big Oak institute was developed by Dr. Karen Alter-Reid to bring EMDRIA-approved and general trauma training to clinicians in the Northeast and the Tri-State area. As well, Big Oak presents to local first responders and community mental health organizations. Finally, Dr. Alter-Reid founded PSICT, Psychology Seminars for Integrated Care and Treatment. PSICT is a series of state-of-the-art training workshops for local therapists held with well-regarded national and international psychotherapy experts. She is Past Co-Regional Coordinator of the Fairfield County/Southwestern CT EMDRIA Regional Network which brings together local clinicians for networking and continuing education. Dr. Alter-Reid received her B.A. in Psychology at Barnard College, her M.A. in Psychology at Columbia University, and her Ph.D. in Clinical Psychology at Fairleigh Dickinson University. 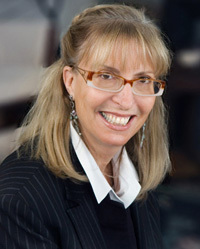 She completed a postdoctoral certification progam in Relational Psychoanalysis at the Mitchell Center in New York City. Dr. Alter-Reid has been in private practice for over 25 years.